Tyler Hutchinson Wins 2015 Seneca Fall Poker Classic $100 No-Limit Hold'em ($6,650)! 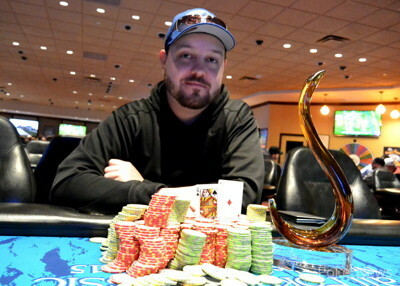 A 33-year-old poker dealer from across the border in Niagara Falls, Canada, won the third event on the 2015 Seneca Fall Poker Classic schedule inside the Niagara Falls Poker Room on Thursday night. Tyler Hutchinson outlasted a field of 595 entries to take the title, after four-way chop left four-handed chip leader Jeffery Hobrecker with the biggest chunk of the prize pool. The rest was split three-ways, leaving the trophy, the title, and an extra $850 on the line. The final day started just after 11 a.m. local time with 114 players fighting to push past the 45-player money bubble. The bubble popped just after 2 p.m. local time when they were sent hand-for-hand by Day 1d leader Pat Tighe, who turned up late and busted early. The bubble then busted on the first hand of hand-for-hand play. Marcy Jo Phillips rushed out to a huge lead partway through the day on a massive heater, but the heater did not last and she ended up out on the bubble of the final table. After winning a huge pot when he made a runner-runner full house, getting it in with top pair over bottom set, Hobrecker steadily rose into the lead and was the only player over the 2 million-chip mark heading into the final table. 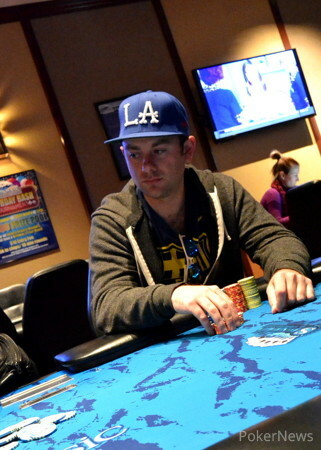 After Tommy Swimm busted in 10th, the players went on a dinner break and returned nine-handed. Short stack Larry Shaw doubled a number of times, but eventually left in ninth when he shoved queens into Thomas Clayton's flopped kings. Rich Cadwallader doubled a number of shorter stacks until he was the short one himself, busting eighth, running a weak ace into Tomasz Werstler's with Werstler making two pair. 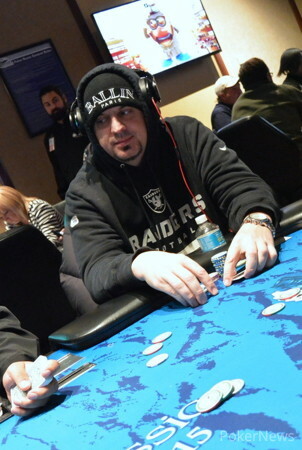 Kevork Garabedian ran a weak ace of his own into Cameron Bartolotta's kings, and Clayton lost two huge pots before shoving short with queen-high to go out seventh and sixth, respectively. Nick Zinter then ran deuces into Hutchinson's fours and talk of a four-handed chop started up with Hobrecker holding the lead. They eventually made a deal to give Hobrecker $8,800. Bartolotta, Werstler, and Hutchinson each took $5,800 and they left $850 and the trophy to play for. Bartolotta ran a weak ace into Hutchinson's slightly stronger one to go out fourth when Hutchinson made a pair. Hobrecker was in charge three-handed, until he got aces cracked by Hutchinson's and shoved short to bow out third. Both dealers at a casino across the Falls, Hutchison and Werstler, then flipped for the trophy and title, with Hutchison taking it down. That concludes PokerNews' coverage of Event #3, but the 2015 Seneca Fall Poker Classic continues with the first of two starting flights in the $1,000 Main Event beginning Friday at 11 a.m. local time. Tomasz Werstler and Tyler Hutchinson flipped for the win with Hutchinson's hitting an ace versus Werstler's unconnected . Werstler takes second while the trophy and the extra cash belongs to the 2015 Seneca Fall Poker $100 NLH Event #3 Champion, Tyler Hutchinson. A full recap will follow. Jeffery Hobrecker became the short stack getting his aces cracked by Tyler Hutchinson's after he flopped a king and rivered a queen. The next hand he shoved into Tomasz Werstler's and failed to connect, bowing out third, but still taking the biggest chink of the prize pool. Cameron Bartolotta ran the into Tyler Hutchinson's for a four-million chip pot and busted when the board ran out giving Hutchinson a pair. 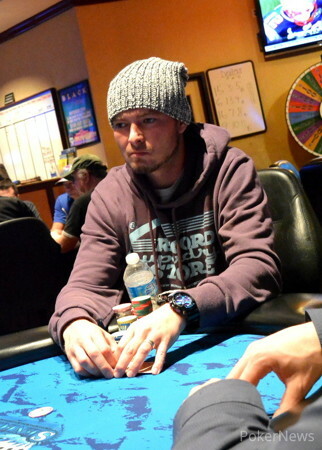 A deal has been struck giving chip leader Jeffery Hobrecker $8,800. Cameron Bartolotta, Tomasz Werstler and Tyler Hutchinson will each receive $5,500 and they are leaving $850 and the trophy for the winner. Plans are also in the works to skip ahead a couple of levels when this one finishes. Nick Zinter got it in with the and got the call from Tyler Hutchinson on the . Fours held on an board to leave the table four handed and start discussion of a chop. 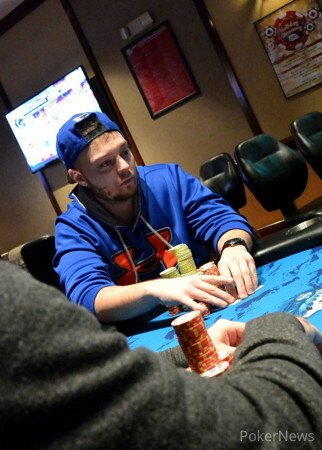 Thomas Clayton lost a big pot to Cameron Bartolotta making two big bets with sixes that did not shake Bartolotta on . In the end, Bartolotta made a straight, but Clayton slowed down, checking on the river to save some chips. A hand later, Clayton opened the and called Tomasz Werstler's shove. Werstler held and he held on through a board of bricks leaving Clayton as the short stack. He shoved into Werstler's a hand or two later and hit the exit sixth. The Final Day of the 2015 Seneca Fall Poker Classic $100 NLH Starts Now!